She is by my side as I dig today. 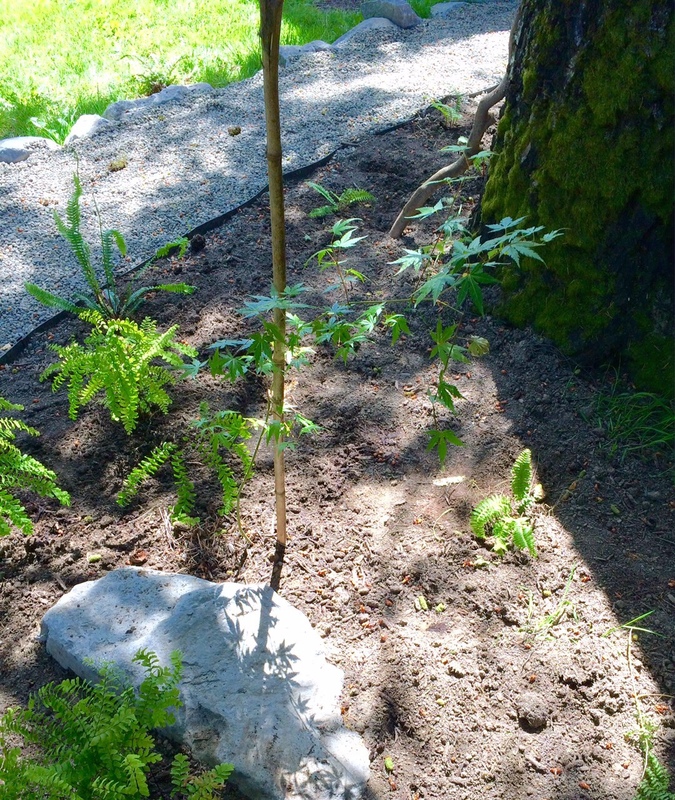 I am planting a fern garden around the rogue maple sapling that I found in a pot in her yard. The last time she saw my garden it was a long flat bed of mud. I wonder how she would like it now. "Dig the hole twice the diameter of the plant," I hear her say. My mother's garden was her folly. Behind our home rose a steep hill of shrub in a drought plagued state. She removed what was native and replaced the plants with trees, shrubs, and flowers that brought her joy. I am doing the opposite, planting what I know will survive in the Portland rain. "Make sure the hole is deep enough so that the plant sits even with the ground once you've tamped the earth around it," she says. She would come home from the office tired and silent, and pour herself a drink. Soon she would be outside, weeding and watering until the sun went down. I would watch her from the kitchen window, wondering why she did it. "If it sits too high, the roots will die." Sometimes she would ask me to help to help. I would hold the hose while she dug a new hole or clipped a branch. "Too low and the plant will drown." When the storms came, and the hillsides shifted and gave, we had to leave our house. My father said her pine trees kept our hill from sliding. "Drench the roots. Trees need lots of water." I call my son over and show him what she taught me. He keeps his headphones on and leaves before I speak my last sentence. It's just her and I today. "Make sure the water pressure isn't too high or you'll move the soil." I wonder what she was thinking as she stood there for so long, hose in hand, drenching the roots. "Build a trench around the stem so the water will pool." She gave me her thick full head of hair and her endless drive. I have her sense of adventure and fearlessness. As I water the garden, I think of everything and nothing until the simple joy of watching something grow becomes the reason I am here.